Some employers like to put candidates through their paces as they search for the perfect fit, which can lead to a process that requires multiple interviews spread over several weeks. Unless you know what lies ahead, you could be derailed by an abrupt salary question, a bad credit score or a poor showing at a technical interview. The best way to be ready for any contingency is to be prepared. Here’s an outline to help. Most companies are happy to share their hiring process. Some may detail it on their website, but if they don’t you shouldn’t hesitate to ask HR about it when you first apply. In addition, ask recruiters and networking contacts for their views as soon as you get the chance. When you speak to the hiring manager, gauge their sense of urgency by finding out when they need someone to start. Employers rarely skip steps, but they may accelerate the hiring process if they’re short-handed. After they’ve reviewed resumes, most companies conduct a phone screen or live video interview. At first, you’ll probably speak with a recruiter or HR manager who’ll confirm your experience with the top technical requirements. They’ll also evaluate your communication skills and measure your interest. To move forward, establish rapport, cite statistics and experience to verify your technical skills and sidestep salary questions. As the conversation winds down, confirm the next steps and timeline. And be proactive: If you don’t hear back within the specified timeframe, follow up. Although technical questions may arise at any time, at this point most employers administer an online coding test, white board exam or technical interview. Naturally, you’ll want to study the answers to certification exams and practice your white boarding skills beforehand. During the sessions, be sure to walk engineers through your problem-solving methodology. Don’t be afraid to ask for hints and explain how you’d find an answer if you need more information. 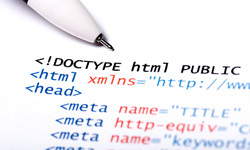 Offer further validation in the form of coding samples or portfolios. Finally, ask about the next steps and be sure to follow up. Next, you’ll undergo a series of face-to-face interviews with IT managers and prospective teammates. They may ask behavioral questions or assess your cultural fit and interpersonal chemistry over coffee or lunch. Study the company’s culture and values, prepare examples and vignettes for behavior-oriented questions and be ready to discuss compensation and other areas that particularly matter to you. Finally, flat-out ask for the job and find out when the hiring manager will make a decision. By now you know the drill — send a thank you note to everyone you meet and show your interest by following up. Finally, it’s time to nail down the deal. Prepare to negotiate compensation by researching the market rate for someone with your experience and skills, and be sure you’re comfortable with negotiation strategies and tactics. Touch base with previous managers and references because a background check is usually the final step to your being brought on board. Be patient, be engaged, follow up at every step and focus on showing off your strengths. That way, you’ll develop the employer’s interest, and they’ll recognize that you’re the person they’re looking for. Yahoo Acquires Blink. Who’s Next? Are these hoops for experienced candidates or just out of college freshmen. If for experienced candidates then no wonder companies are crying about not finding people with the so called right skills match, and experienced candidate would be snapped up by another company before their hiring process is completed. I’ve done a phone screen with the HR manager, a phone screen with the Project Manager, completed a 10 question assessment that required reading and analyzing a 5 page requirement document. The next step is the in-person interview, IF I get called back.